Properties in Italy: cheap or expensive? Italy - not only a popular tourist destination, but one of the most attractive property markets in Europe. Properties in Italy are very popular at the moment due to the fact that prices in the local market are affordable to people with any financial opportunities. In any region of the country, you can find different types of realty - very cheap or super expensive premium housing, as a holiday home or as a trusted, long-term and profitable investment tool. Most of the private real estate buyers in Italy opted for the central and northern regions of the country - on the Adriatic coast, in Liguria, on the Venetian or the Tuscan Riviera... Of course, the cost of housing here is not the lowest. But exactly these parts of the country can boast with a high level of tourist services and high quality of life that attracts not only lovers of comfortable rest, but also those who buy a house in order to move to a permanent place of residence in Italy. Lodging in Rome, Milan and Venice attracts many foreign buyers. And if for some apartments and houses in large cities are proven investment instruments, for others they are a primary residence. It should be noted the fact that the home ownership does not give foreigners rights to automatically obtain a residence permit. But the presence of a private company, incorporated and operated in Italy, could be a first step to move to a permanent residence. 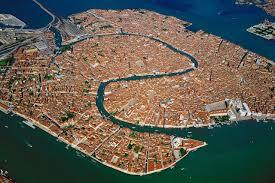 Each purchaser of property in Italy has its objectives. For some, this country - a favorite vacation spot. Others are in love with nature and the local traditions. Third attracts a high standard of living and great prospects for the development of their own successful business... But they all share one thing - that buying a home in Italy is a reliable, long-term investment in liquid property in one of the most developed European countries.